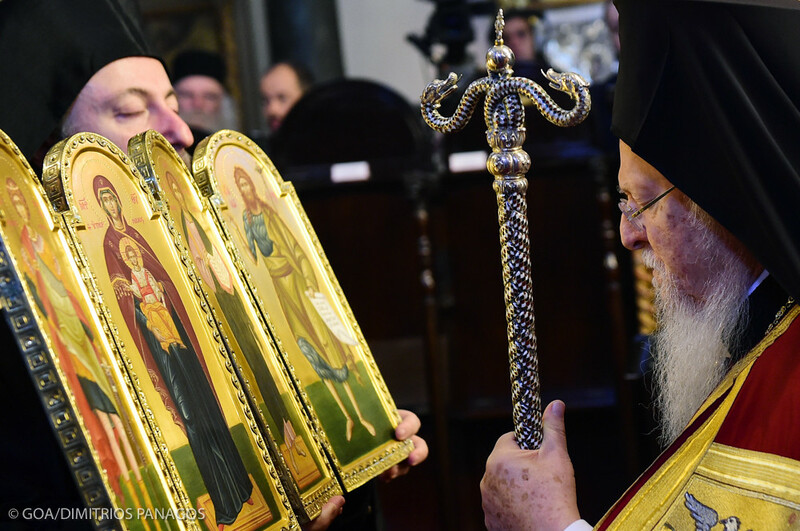 Constantinople (Istanbul) Thursday, Nov. 30, 2017 – His All-Holiness Ecumenical Patriarch Bartholomew presided at the Divine Liturgy in the Sacred Patriarchal Cathedral of St. George in the Phanar for the Thronal Feast of the Patriarchate of Saint Andrew the Apostle. As it is the established tradition for many years now, the Vatican sent a delegation led by Cardinal Kurt Koch, president of the Pontifical Council for Promoting Christian Unity. His Eminence Archbishop Demetrios Geron of America concelebrated the Divine Liturgy with the Ecumenical patriarch along with other hierarchs from the Phanar and around the world.